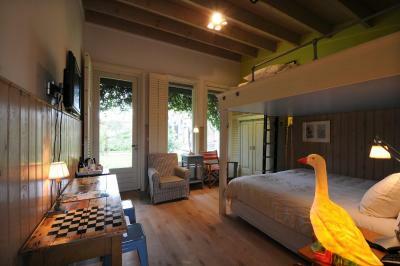 Lock in a great price for Villa Augustus – rated 8.9 by recent guests! Beds were firm and very comfortable, food was excellent in the restaurant, staff incredibly friendly and helpful everywhere. 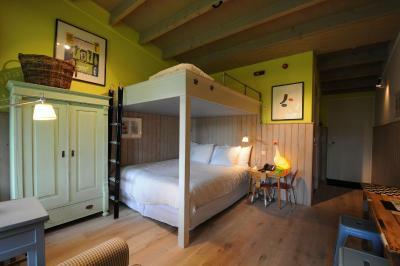 It is a special hotel with an own character, which makes the stay very special. Location is very nice with the garden and water. Unfortunately I was there in the winter, but I can image sitting at the teras with a beer looking of the water. 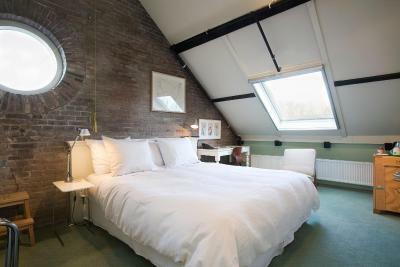 Very nice room and comfortable bed. Children like the bunk bed. The garden and water tower are nice. 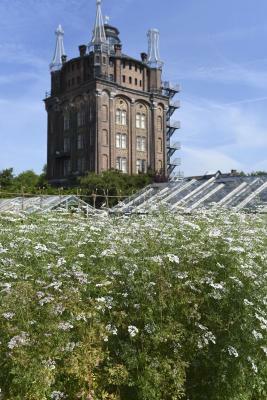 A place with lots of attention and love paid to little detail, front and foremost the decoration, but also the market garden, the rooms and the refurbished water tower building. The gardens were beautiful, room was comfortable and views were great. Restaurant food was a plus as well. Very eclectic. On the river (boat ride very enjoyable). Nice terrace restaurant - but limited choices. 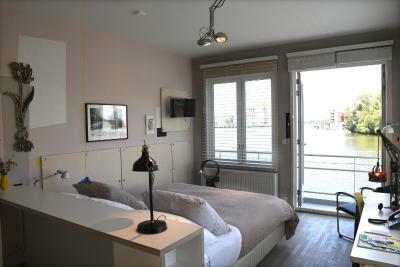 Unique hotel with a strong and unique brand signature throughout the entire place. 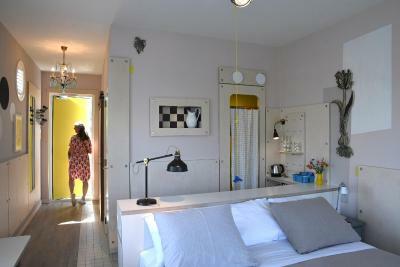 Clean and relatively modern rooms. 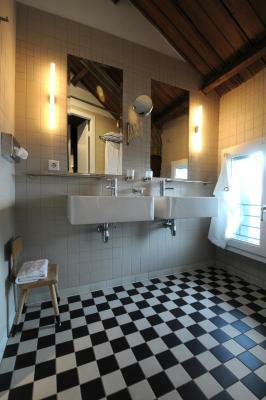 Great shower and all facilities available. 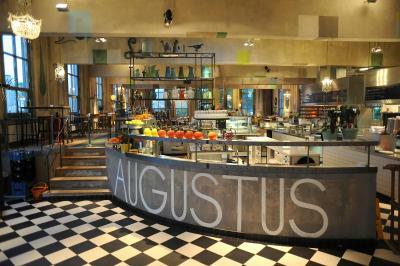 Connected brasserie-style restaurant is good. Not high-end, more family friendly. 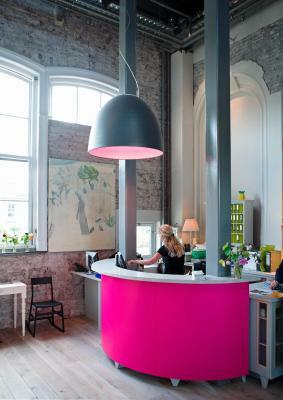 Unique hotel conversion of older water tower building. The gardens were our reason for visiting and highlight of the trip, but the hotel architectural conversion made the trip very special. 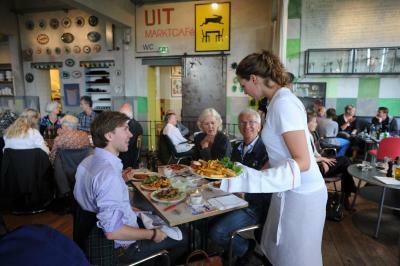 The restaurant was garden to table and very welcoming, informal with a lively atmosphere. 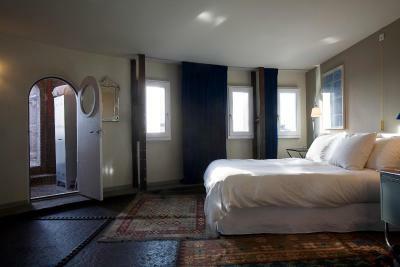 Rooms in the watertower are absolutely great! Food in the restaurant is very good. Villa Augustus This rating is a reflection of how the property compares to the industry standard when it comes to price, facilities and services available. It's based on a self-evaluation by the property. Use this rating to help choose your stay! Housed in a former water tower, a 15-minute walk from Dordrecht’s historic center, Villa Augustus features spacious grounds including decorative gardens and an organic kitchen garden. 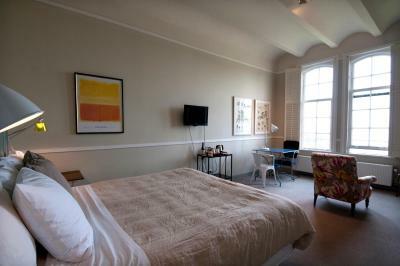 The rooms are light and feature extra long beds, and a flat-screen cable TV. 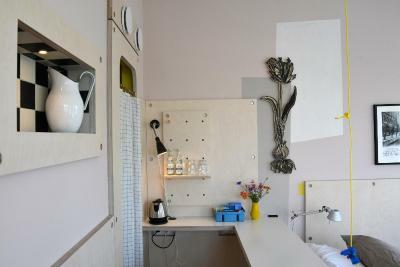 A mini-bar and a tray with a kettle, tea and coffee are also provided. Free Wi-Fi is available throughout. 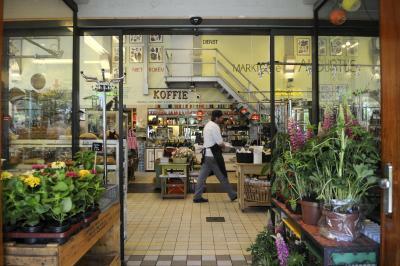 The market shop and café at Villa Augustus offers a range of seasonal products as well as deli-style items. 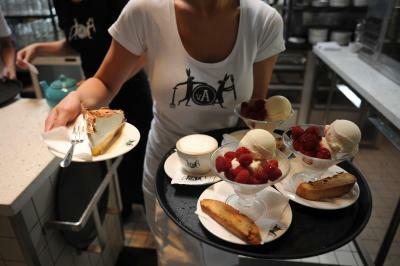 Home-baked sourdough bread, biscuits and cakes are made in the on-site bakery. 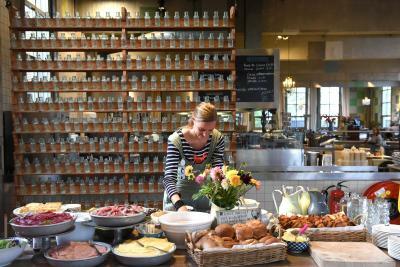 Guests can enjoy fresh meals with mainly organic ingredients served in the restaurant at the center of the kitchen garden. Complementary private parking is available for hotel guests. Dordrecht Museum is 1.2 mi from Augustus. 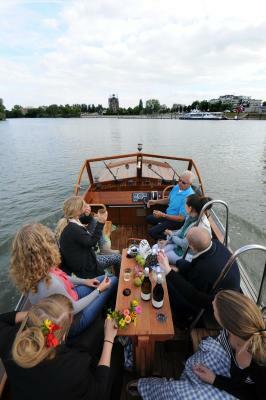 Rotterdam is 30 minutes away by car and can also be reached by waterbus. The windmills of Kinderdijk are 20 minutes' drive away. 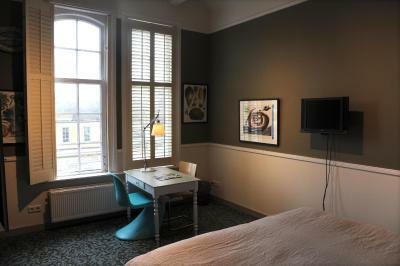 When would you like to stay at Villa Augustus? The floor of this room type is on the original flat iron bottom of the reservoir. These rooms are in the most authentic part of the tower, where the water used to be. 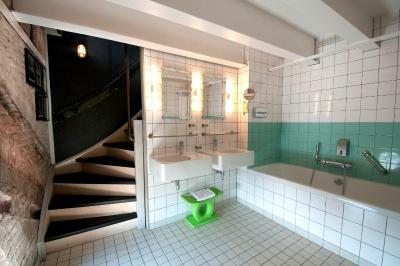 The bathroom is one floor below an reached by a staircase. These rooms are not suitable for people who have difficulty walking. The family rooms are in the garden. 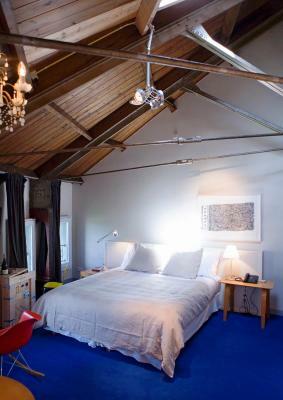 Two children under 12 can sleep on top of a four-poster bed. 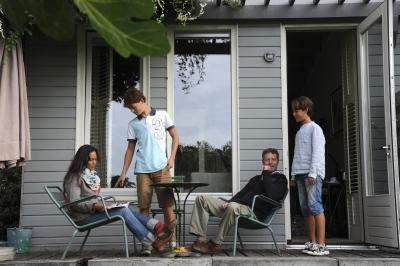 The private veranda features direct acces to the garden with grass field and trees. The garden rooms are on the ground floor of the former boiler house. 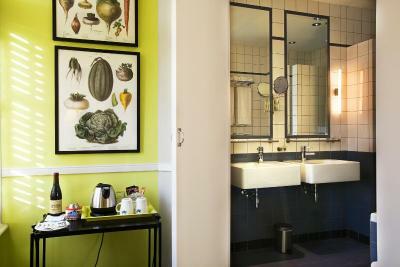 These rooms have direct acces to the garden. 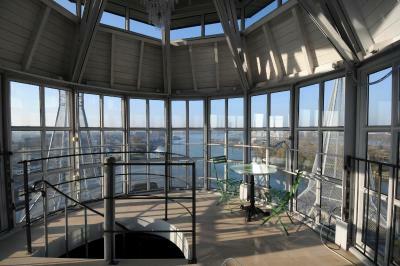 With panoramic views, these light, spacious rooms are located in the tower. Accessible by elevator. 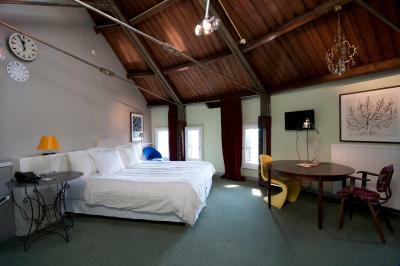 This room is located on the sixth floor, under the wooden roof. 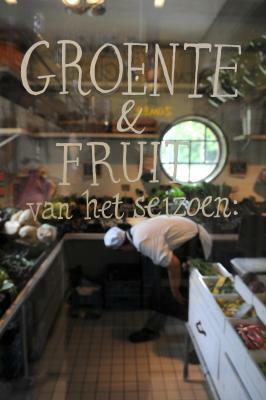 The private room within a Italian-style garde, bordering the orchard. 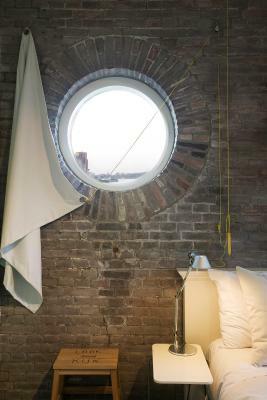 This room on the top floor of the water tower offers access to the glass lantern on the top, by way of a spiral staircase. The view offers a panorama across Dordrecht. In clear weather, you can even see the Euromast in Rotterdam! These rooms have been built on the first floor of the old boiler room, which have the feel of attic rooms with dormer windows. The former boiler room is next to the water tower and can be reached with a staircase. Light, airy rooms with tall windows. Here, high above the machine rooms, the waterworks operators used to live. Rooms with a beautiful view. All rooms are accessible by elevator. 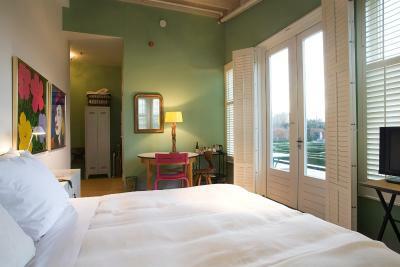 Light, airy rooms with tall windows, a view to the garden. Here, high above the machine rooms, the waterworks operators used to live. All rooms are accessible by elevator. 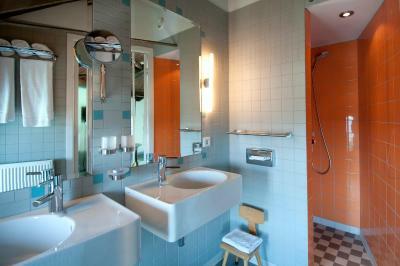 Private bathroom with shower. 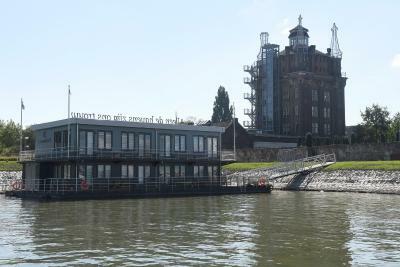 The floating office dating from 1903, is now fitted as hotel rooms. The rooms are accessed via the garden. 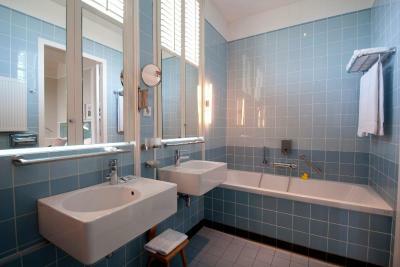 They feature a private bathroom with bath or shower and a double bed. Please note that guest may feel the heaving waves. 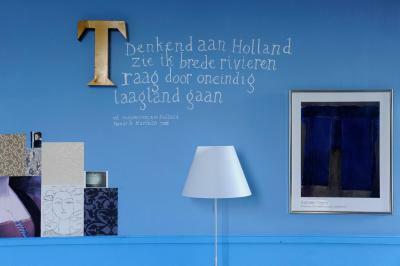 House Rules Villa Augustus takes special requests – add in the next step! ATM card Villa Augustus accepts these cards and reserves the right to temporarily hold an amount prior to arrival. Villa Augustus accepts these cards and reserves the right to temporarily hold an amount prior to arrival. Guests who would like to book a table at the restaurant are kindly requested to do so beforehand. Please note that a limited amount of nearby off-site parking spaces are available for guests free of charge. These parking spots are reserved for hotel guests only. Very noisy room on ground floor. The noise was coming from a ventilation shaft and we could hear the conversations in the rooms around us. We had to call the receptionist as couldn't sleep and she agreed it was a problem but the hotel was full and couldn't move us. She spoke to the neighbouring rooms to ask them to be quieter. 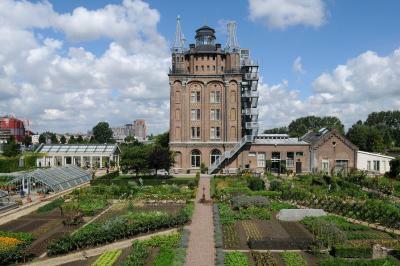 Beautiful building and gardens, friendly staff and excellent restaurant. 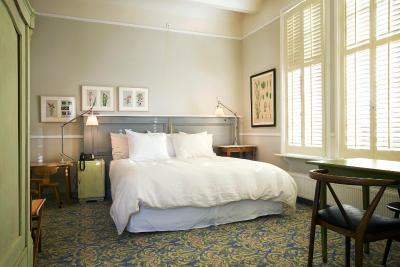 Think it was a great hotel and the room was really nice and well decorated with a vintage style. Beds are comfortable and of high quality. 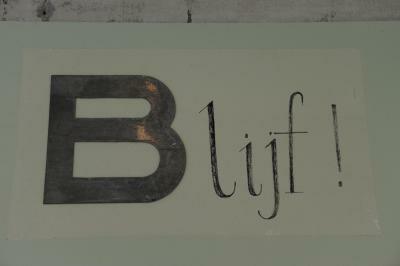 Location of the hotel is 15min walk from the city centre. The channel selection on the tv could have been better, and the ability to view movies would be a plus, too. 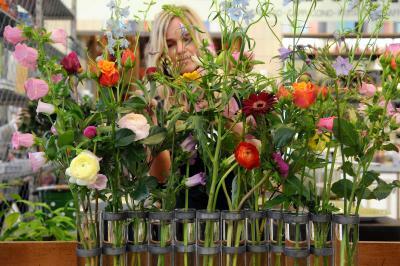 Friendly people, good hospitality, nice interior design, beautiful flowers. Superb food. Nice concept with hotel, restaurant and garden. 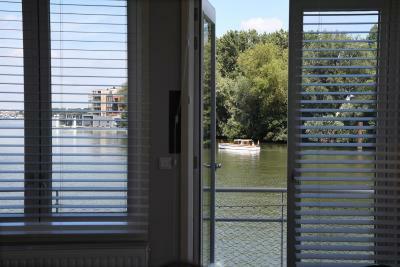 Didn’t stay in the villa, for the price paid for the time spent there, I expected to be in the villa, not the outside boat which is not on the promotional material. Was clean and a good view. The rooms are a bit noisy (we had first the floating one, but couldn't stay there because we could hear everything from the neighbors), then we moved to the water reservoir room but there we also could hear a lot from other rooms. 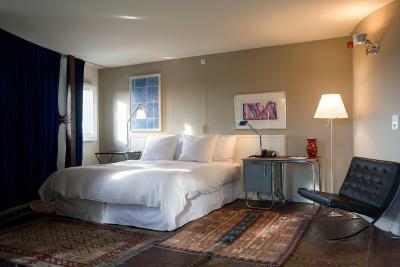 Nice staff, interesting building, clean and spacious rooms, bed was super comfortable. I would have preferred a warm breakfast. Also maybe half an hour earlier. Great hotel, loved the building and atmosphere. Really impressed with the room. Old fashioned but iconic furnishings but with a modern 'look' including updated fittings. Very comfortable.